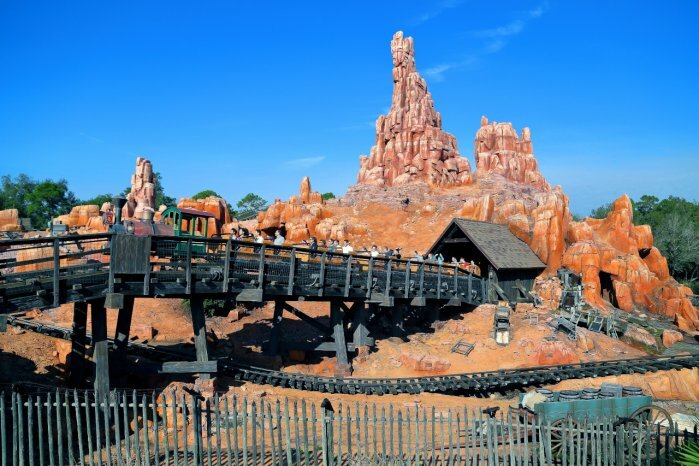 The article covers the Big Thunder Mountain Railroad Drop Height for the ride at Walt Disney World Resort’s Magic Kingdom (Frontierland) in Bay Lake, Florida (Orlando area). 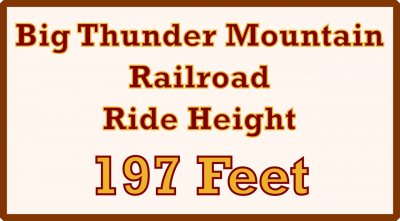 Also covered in this article is the Big Thunder Mountain Railroad Ride Height, which is the height of the ride. The Big Thunder Mountain Railroad drop height is close to 0 feet or 0 meters. What? Yes, there is really no drop height for the attraction in Frontierland. Big Thunder Mountain Railroad does not have a drop like Splash Mountain or Space Mountain has. The ride has we call mini drops. This where the ride goes up and down rather quickly, like a “bump”. From the top of the 3 inclines the ride has, the train makes its way down in a gradual and fast manner. There are no drops to be found on the ride, which can make the ride less “scary”. Even without a large drop, the ride is one of the enjoyable and popular rides in the park. The ride experience may be “rough” at times, like a wooden roller coaster, however. Above Big Thunder Mountain Railroad height photo showcasing the ride height and the drop height (zero) of the ride by Luis Brizzante on Flickr. Photo modified by NavFile and released under a Creative Commons Attribution-ShareAlike 2.0 Generic License. 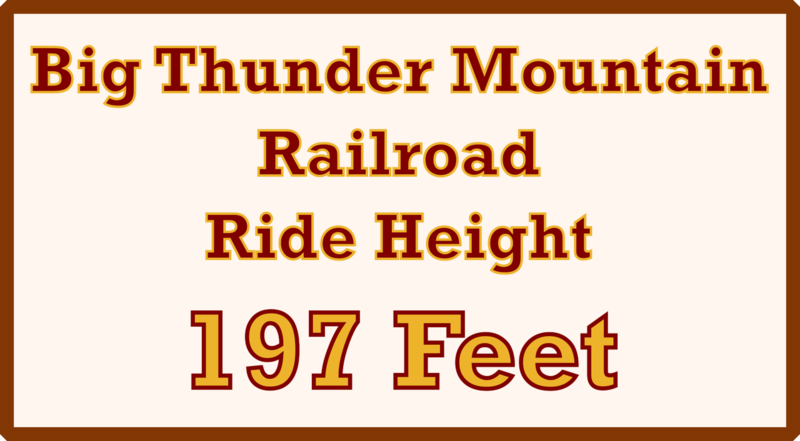 The Big Thunder Mountain Railroad ride height is approximately 197 feet. Walt Disney World describes the height as nearly 200 feet. This is the height of the mountain that is located near the back center of the ride (the highest point). The train and the ride itself do not reach the 200 feet height of the mountain. We estimate that the highest point that ride reaches is approximately 100 feet, half of the total height of the mountain. That about wraps it up for the drop height and the ride height of Big Thunder Mountain Railroad at Walt Disney World’s Magic Kingdom. To learn more about the roller coaster, please feel free to visit the other pages on the site.